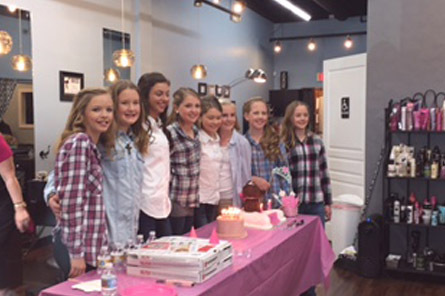 Since opening in 2004, Bombshells Salon Knox has developed a reputation as one of the top Salon experiences in the Knoxville area. At Bombshells Salon Knox, excellence is our passion and improvement never stops. Our award winning staff receives world-class, ongoing education from renowned industry leaders, ensuring that your new style is always created using the most up to date techniques. Just like you, we get excited about fashion, new hair styles and feeling luxurious. The energy at Bombshells Salon Knox is contagious as a result of our passion for what we do. We are proud to be recognized as one of the nation’s Redken ELITE salons. Our team has advanced training from the some of the world’s best artists in our industry. We want to be a part of your special day! Your wedding day should be perfect and stress free. 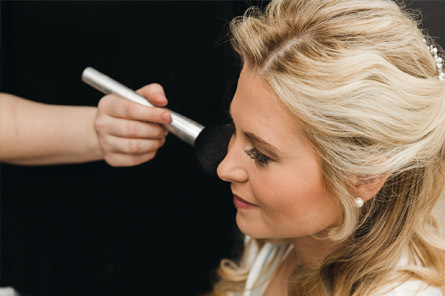 Let the Bombshells Bridal Team take care of your hair and makeup needs on your big day! Bombshells is the perfect spot for your next party! Girls night out, birthday, bachelorette, or a group getaway, let us pamper you and your friends! 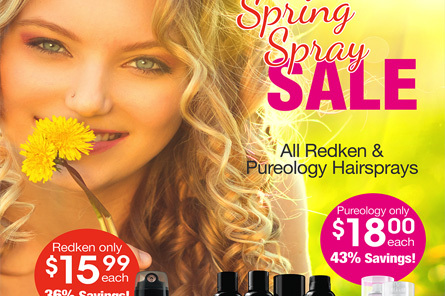 Check out our current specials page for some fantastic special deals on Redken and Pureology products. We carry a wide selection of both in the salon.